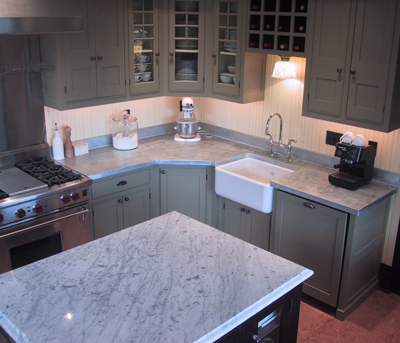 CJ Design Kitchen Countertops uses only 48 oz or .062 thickness of zinc to provide a zinc counter top and zinc sink that will last you and your family a lifetime. 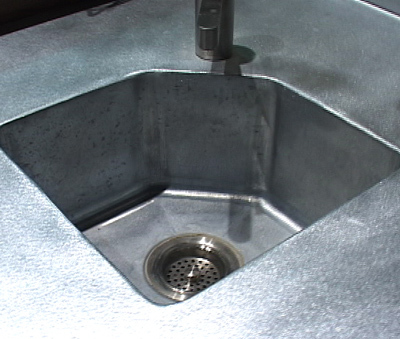 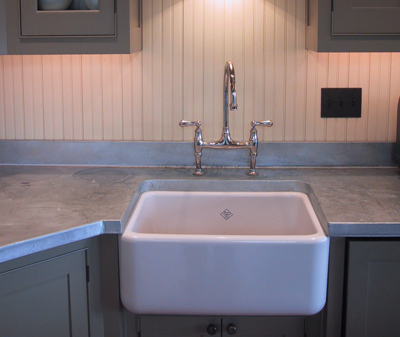 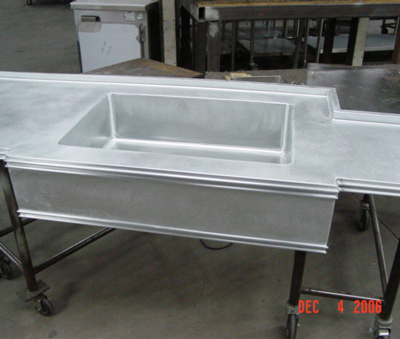 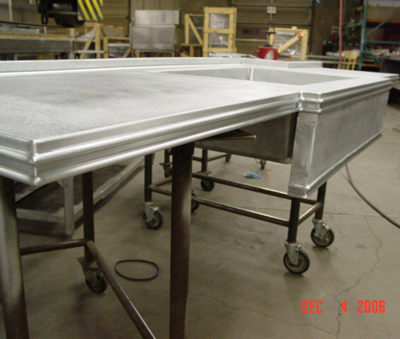 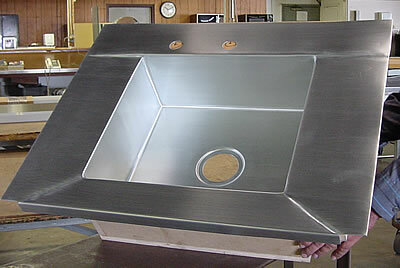 All zinc countertops can be built with integral zinc sinks that are custom built to the customer’s over all size, depth and with one or more compartments. 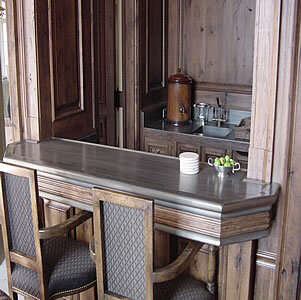 Zinc has an old world charm and is really beautiful alongside antique woods. 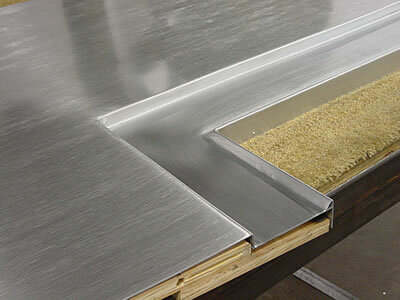 Zinc is a soft metal. 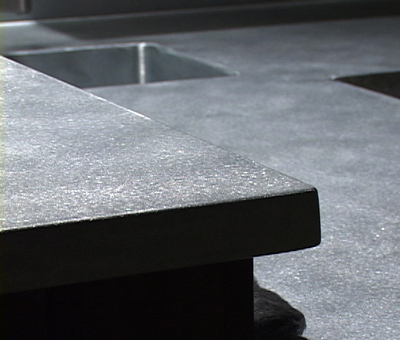 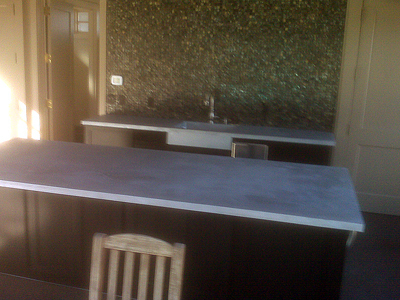 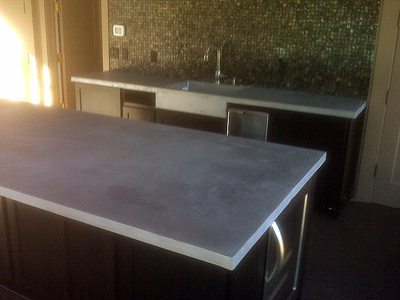 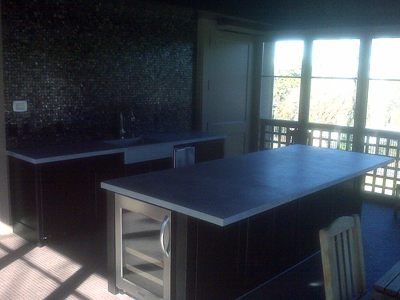 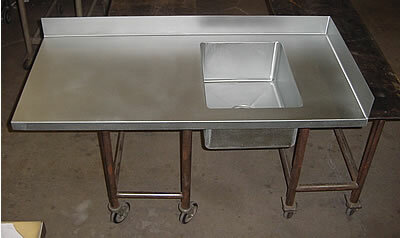 The surface of the zinc countertops will naturally oxidize into its patina finish, which is a dark gray. 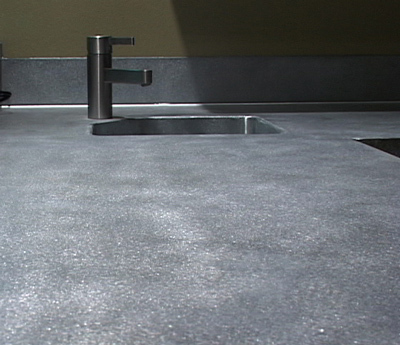 If various chemicals are used on zinc countertops, it can accelerate the patina and create unusual effects.